Lidl stocks a wide range of quality products and when compared to bigger supermarkets out there, its prices are much lower. The German chain has a regular range of special offers and has a strong focus on freshness. It is also one of the supermarkets that really takes sustainability seriously. These qualities are enough to make it a favourite among some shoppers. But Lidl stores are harder to find when compared to competitors like Sainsbury’s and Tesco. This can make for stressful and inconvenient shopping experiences for your average shopper. But now, shoppers can press Pinga to get their favourite Lidl products delivered quickly to their door. Our service makes it so simple for you to get your favourite products in an instant. Getting started is easy: simply download our slick app and dispatch your request to our network of trusted Pinga Partners. One of our trusted professionals will respond right away and you can work together to clarify the details. Next, you just have to pay through the app and wait! Our Pinga Partners are very fast and you will have your products in no time at all. Need something else too? We are happy to go wherever you need to get you the perfect products. We don’t set unreasonable minimum orders either – no order is too small and you can order exactly what you need! Ready to get started today? Our network of Pinga Partners are ready and waiting to make your life simpler and more convenient. Getting started with Pinga is simple and we can’t wait to have you on board. To help you get started, here’s a closer look at our service and how everything works. Pinga delivers any items from Lidl today. 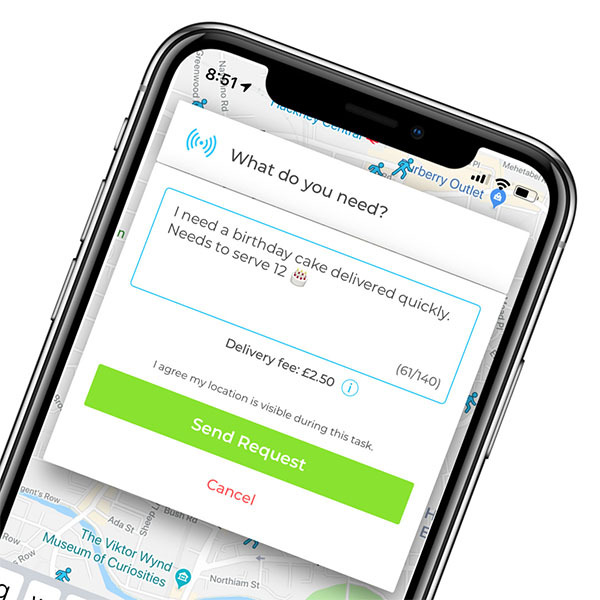 Infact our service normally delivers within an hour, so if you’re looking for same day delivers from Lidl, send your request via the Pinga App. Describe what items you needs to be delivered from Lidl and send your request. Pay securely within the app and receive your Lidl items to your door!